As the content writer for LA Dezign, Kelsey is an experienced writer. She develops content ideas and topics for a wide array of clients, mostly consisting of blog posts, website content and articles. In her first six months at LA Dezign, Kelsey has created exceptional content that is enhanced for SEO purposes. Additionally, Kelsey has assisted with the social media strategy. She helps develop content plans, monitor social media sites, create social media posts, and she interacts with social clients and their fans. Kelsey has excelled in both work and schooling. She graduated from Arizona State University with a Bachelor’s Degree in Communication. She maintained her position on the schools Dean’s list and graduated with the highest honors, Summa Cume Laude. She also practiced her love for social media and marketing throughout her years in college with a public relations and marketing internship. In her internship she wrote blog posts, press releases and social media posts. 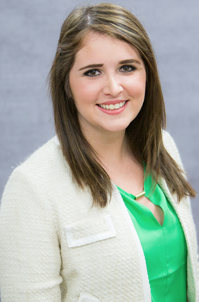 Furthermore, Kelsey helped increase the Communication school’s retention rates by 5 percent and created social media pages, videos, and marketing strategies for the school. When Kelsey is not in the office, she enjoys spending time with friends and family, playing with her golden doodle, traveling, and going to the movies.